· instant access to third-party financial services that are organically linked to payments. Qalize eliminates the transaction fee-based business model, focusing on the best customer experience, value-added B2C services and increasing businesses’ efficiency. Qalize enables a new type of consumer culture through users relying more on secure and free direct deposits instead of card payments, by offering loans from partners such as P2P lending platforms directly in the Qalize app. With zero transaction fees and a lower cost structure we aim at creating a viable alternative to credit cards, combined with access to any bank account. We do not hold customer's funds. Users keep money with their bank. Qalize can securely connect any bank account in the United States, without passing sensitive data to the merchant. Additionally, no sensitive information is stored on the user's device. Instant loyalty rewards you cannot miss. Loyalty rewards, rebates and e-coupons are applied by merchants automatically, no more loyalty cards, loyalty apps or coupons. Itemized slips and purchase history. Unparalleled capability to store itemized purchase history without deep integration with POS or CRM systems - potentially a new dimension in personal budgeting. Complete control over finances. Users can access info on all their bank accounts in one app, transfer money between accounts and have instant access to broader range of financial services. Amazing split bill and tipping features. Users can easily split bills with friends; let friends pay part of the bill remotely and tip the server directly. Easy sign-up. No paperwork/bank visits required to get started, with an easy and secure verification process. No debit/credit card renewals. No need to worry about card expiration dates. Connecting a Qalize account to external apps makes managing subscriptions simple. Smooth payment sequence in restaurants. Users can pay bills in restaurants faster, without waiting for a card terminal. A financial services marketplace: Data available to Qalize allows it to offer personalized third-party financial services , including direct access to consumer loans. The platform will offer flexible financing and repayment tools for larger purchases. Gift cards/e-coupons that actually work. E-gift cards/coupons can be purchased in one click through the Qalize app, providing discounts from issuing merchants that apply automatically when payment is made. No actions are required to redeem the e-gift card/coupon other than paying with Qalize. Focus on restaurants at early stages. Qalize is ideal for table-service restaurants providing a more efficient way to pay restaurant bills. The user enters a code from the bill, gets the entire bill inside of the Qalize app, adds a tip and leaves without waiting to process a card payment. Pre-ordering functionality and paperless iBeacon-based solutions coming soon. Qalize’s merchant-side solutions cover any type of setup, from integration packages for traditional windows/linux based cashier systems to proprietary tablet-based SME solutions. 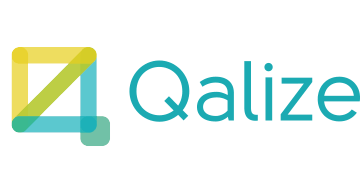 Qalize launched in Chicago in September 2016. Planning to expand to NYC and other states in 2017.